On March 19, Granny D, who is known as the woman who walked across the country for campaign finance reform, began marching at the U.S. Capitol. Doris Haddock is Granny D's real name and at age 91 she can outwalk people half her age and younger. For two weeks, beginning on March 19th, she walked and met with Senators urging support of the McCain-Feingold campaign finance reform bill. Deborah joined her on several occasions. 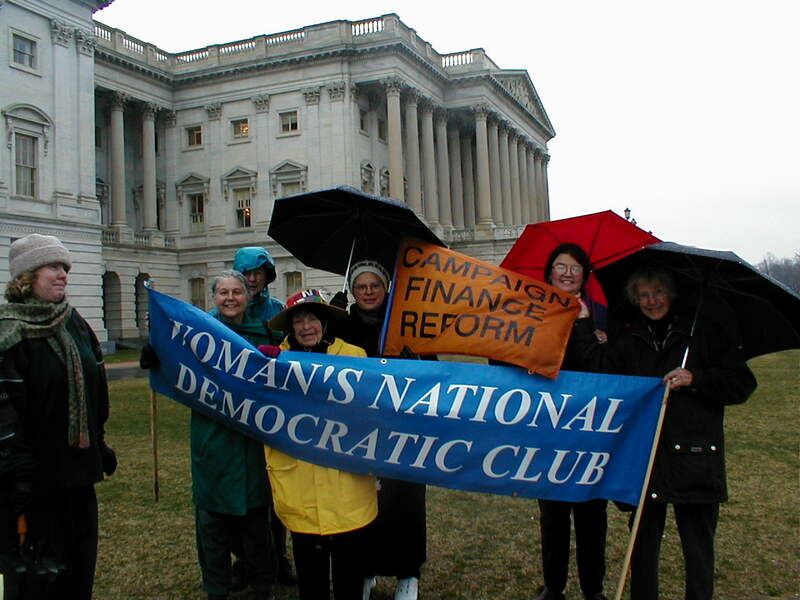 On Thursday, March 29th (a rainy day), Deborah and other members of the Woman's National Democratic Club joined Granny D to walk around the Capitol. Following the walk, the WNDC members visited the offices of several Senators to urge passage of the McCain-Feingold bill without crippling amendments.